It's almost Valentine's Day!!! Yay!! One of my favorite holidays of the year. I love having my date night with my hubby, but I love spending Valentine's with my boys too. I get them some fun goodies, like candy and treats!! Stay tuned for more Valentine's Day posts coming up on the blog. So what is the best part of Valentine's Day? The color red of course. I love wearing red for this special day. 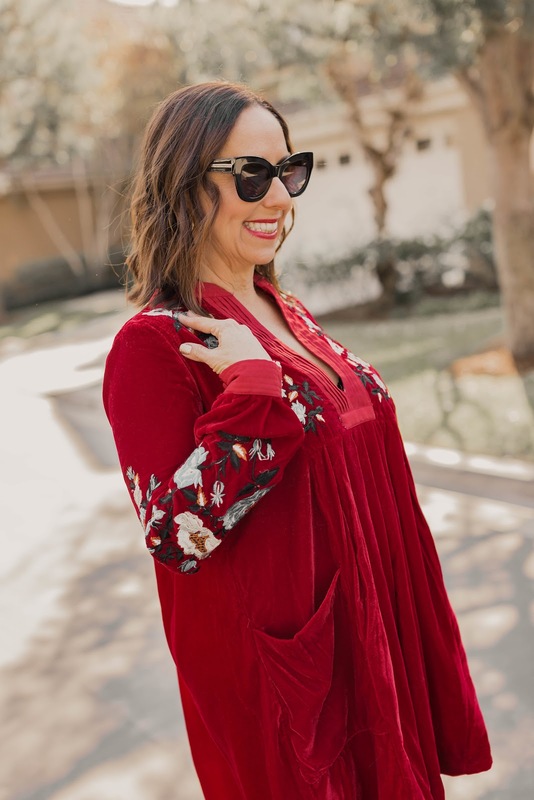 And how cute is this red dress from Free People? I am absolutely in love with it. Free People makes the cutest dresses, and this is a perfect winter weather choice. I paired it with my everyday booties from &Other Stories. These are literally so comfortable, and I can wear them all day long. And of course a red dress needs a bold red lip. I've shared with you before one of my favorite lip stains from my girlfriend Hollie at Holliegirl Cosmetics. This is hands down one of the best lip stains ever. You have to check it out here. 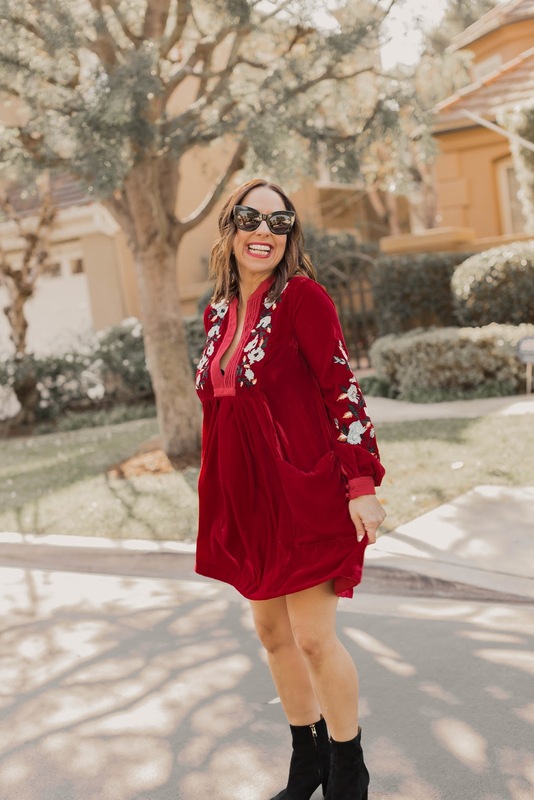 So bring out all your favorite red pieces from your closet for Valentine's Day. I promise that when you wear red, you will feel fierce and flirty. Woo hoo!! Thanks to Gabi Wells for photos. You can shop this look by clicking on the links above and Happy Reading!!!! I am DYING over all this red on you! Love you and seriously LOVE this dress on you babe!